From Kibera to the world...... You're never too young to instill hope and inspire others!!! Eunice Okoth is a 10 year-old Kenyan from the slums of Nairobi, Kibera to be specific. 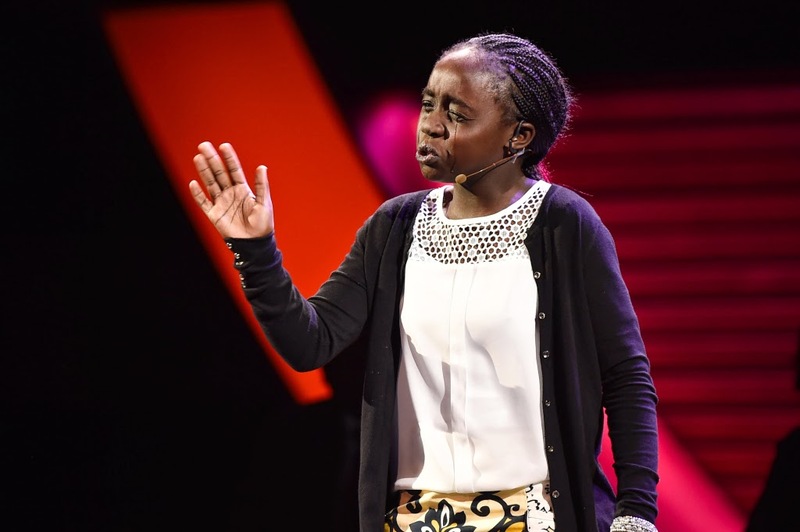 At the recently held Women In The World Summit, Okoth brought the audience to an emotional moment with a captivating poem that she performed in New York, accompanied by Kennedy Odede who's an agent for change advocating for education for the girl child in Kenya's poorest slum. She aspires to become a doctor one day in the meantime, she uses poetry to inspire those around her to dream out of their circumstances. The sixth-grader says, "Most of the kids in Kibera are raped, some are neglected by their parents, some are homeless. She further added, "Most of them have dreams, but they don’t know how they can achieve them, so I had to write a poem that tells them that they can achieve their dreams." Watch the youngster in action and a discussion on why education is pivotal in changing the future of girls in Kenya.